Aloha friends! 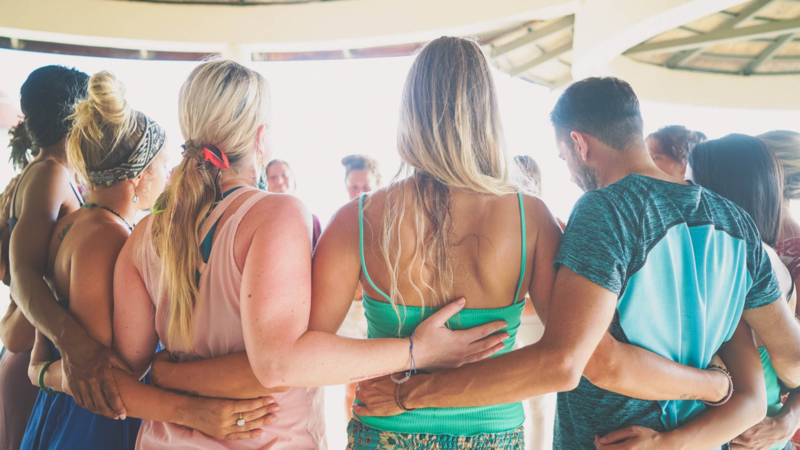 I'm just out of the powerful and inspiring 2018 Breath of Bliss breathwork facilitator trainings... honestly, beyond words. After such beauty and depth, I'm taking some time to journal. Here are my writing prompts for our grads and any of you who have also gone through a big transformative experience. • What did you get excited about? • How did you birth a new reality? • What have you been initiated into? • What did you come into communion with? • How did you evolve in a revolutionary way? • How did you activate your own empowerment? • How did you take back your divine sovereignty? • What was the greatest personal healing you experienced? • How is what you went through connected to evolving humanity’s consciousness on a global level? • What shifts do you feel in your reality, business, ministry, and consciousness after the training? Have you ever been blown out by a breathwork? Struggled to return back to life after a retreat? Left a workshop feeling confused, sensitive or vulnerable? It’s something most of us have dealt with, but few of us discuss: the art of integration. Why am I writing about it? I’ve personally been "taken out" by ignoring integration when I needed it most. And here’s the truth: we ALL need to integrate after transformational events, whether you are a breathwork student or a facilitator. In this article I will share some background and 21 suggestions to support your integration process.